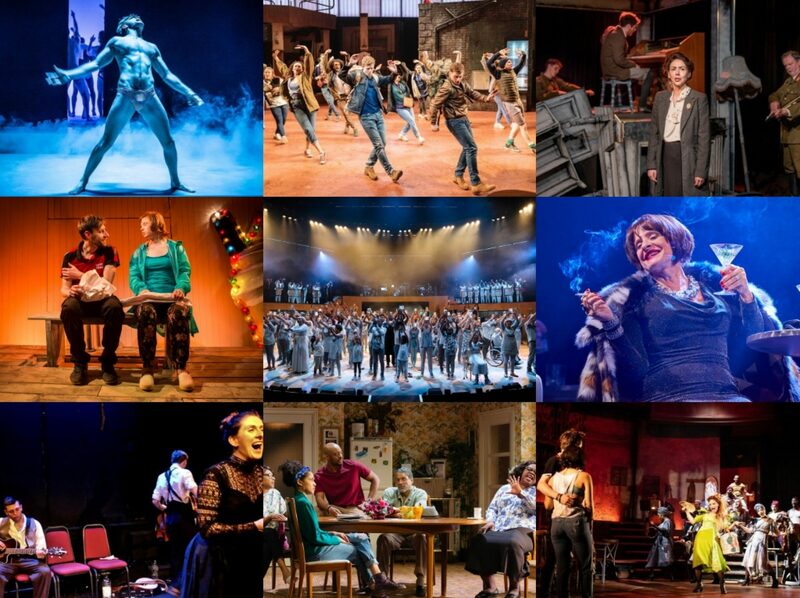 It’s a hugely powerful story and one that is really reinforced by being a musical. Jule Styne’s brassy, muscular score with sharp lyrics from Stephen Sondheim may have been picked apart for cabaret shows aplenty – ‘Everything’s Coming Up Roses’, ‘You Gotta Get A Gimmick’, ‘Some People’, ‘Rose’s Turn’, such tunes! – but they have a cumulative power here that cannot be denied, especially under Nicholas Skilbeck’s musical direction (with the band in a pit out front for once). And given the way that Kent and Staunton play it here, the power is used to tighten the screws of what is increasingly an intense psychodrama as Rose loses sight of everything but the pursuit of an elusive dream that not even she really understands. The breakdown of the climactic ‘Rose’s Turn’ thus becomes immensely potent, a magisterial performance that sears itself into the mind especially as it ends. Staunton truly is magnificent throughout, a complex figure who battled her own (unresolved) mother issues even as she unwittingly repeats the patterns but still exuding enough charisma to make her an attractive figure to someone like Kevin Whately’s Herbie (and she really does look hot here too). Gemma Sutton’s June is always charming to watch but it is Lara Pulver who really impresses as Louise, barely recognisable in the first half as the quieter, mousier sister who only flickers vibrantly into life when a dream of a life with Dan Barton’s supple Tulsa (excellent dancer) flashes by but then is cruelly snatched away. 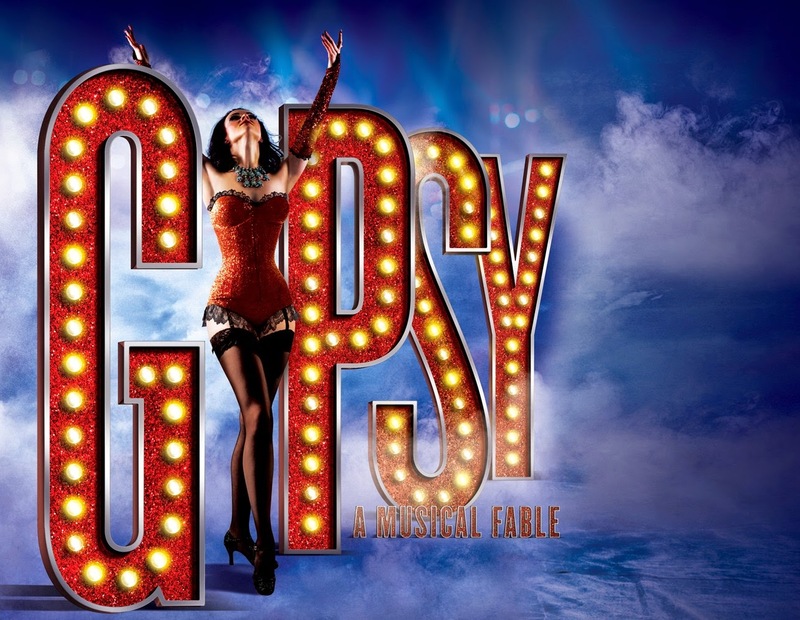 Louise’s metamorphosis in the second half is then a work of appalling fascination as Pulver tells us almost wordlessly just how much transforming into the hugely successful Gypsy Rose Lee has cost her. Kent’s direction is nearly pitch-perfect here, the hints of black-and-white film imagery are brilliantly done in neat touches to Anthony Ward’s set design with its revolving titles and Stephen Mear’s choreography with its ingenious time-lapse sequence, there’s just perhaps a little too much hectic shoving around of bits of set and raising of the lifts if one is being really picky. Otherwise, it is a barnstorming performance of a cracking show in which, in all honesty, few British actors could really pull off this iconic leading role – in Imelda Staunton (Dame to be, please, and Olivier winner yet again next year, mark my words) we have such a one.